Bangalore: The FIAT Rail Bogie Karkhana, set up at Badiyal & Kadechur Villages in Yadgir district of Karnataka will be inaugurated by Union Railway Minister Suresh Prabhu. The Karkhana will be inaugurated on August 18. This will be the Ist Railway Production Unit to come up on South Central Railway. 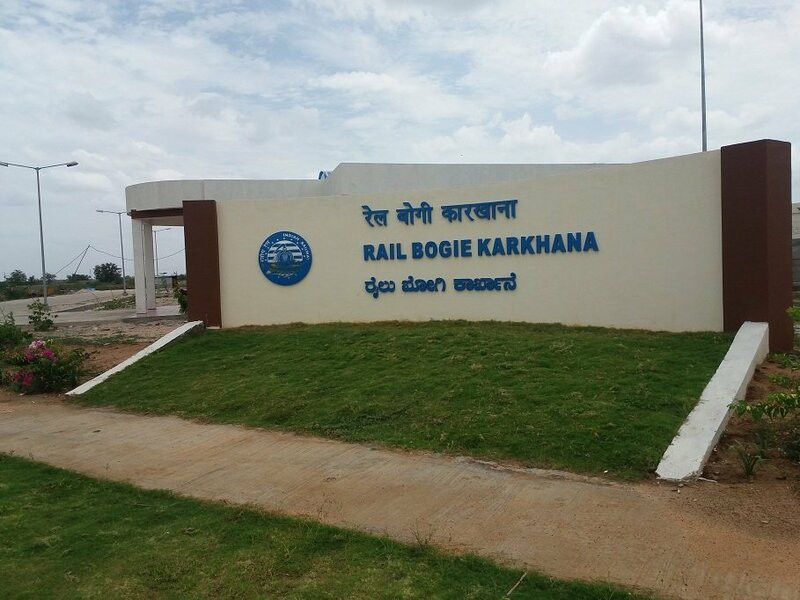 In February, 2014, the foundation stone for the Rail Bogie Karkhana at Yadgir was laid. The work was awarded to Tata Projects Limited, with the executing agency being the RVNL (Rail Vikas Nigam Limited). The Karkhana was completed at a cost of about Rs 80.92 crore. The Rail Bogie Karkhana, Yadgir, part of the Railways modernizing its fleet by replacing conventional coaches, will comprise of about 470 personnel including Railway employees, outsourced employees & local people on indirect employment. The Karkhana is set up with Pre-Engineered Building (PEB) technology. The PEB sheds offer several advantages including superior architectural features & excellent aesthetics. Apart from advanced methods of production processes, the Karkhana ensures zero effluent discharge; draws solar electricity with solar panels on rooftops of the workshop shed & buildings up to 232 KVA; has a water harvesting mechanism & pond to collect run-off water; and plantation of 25,000 trees in the open area of the project. Also, the factory has 6 Axis Robotic Machines with articulated long arm type construction used for welding of bogies. 2 bogie frames can be made per shift.